Riding your bicycle to work doesn’t always come easy, especially in Dallas, TX, however it’s been getting better and better as ridership is increasing and the city has been laying down on street infrastructure. We even now have a legitimate Dallas Bicycle Task Force that meets tomorrow evening, 6pm at City Hall! 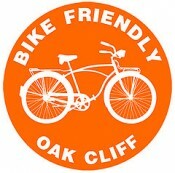 What You Get: Free coffee from Oak Cliff Coffee Roasters, free breakfast tacos from BFOC, haul’n mass provided by Oak Cliff Cargo Bicycles, wrench’n provided by Oak Cliff Bicycle Co., a mariachi band greeting you as you climb the bridge, a balloon arch, and KIND and Cliff Bars from Bike DFW. Encouragement, freedom from the car, happy faces, and the best damn group of bicycling advocates greeting you are all free as well! Group Ride: If you feel more comfortable riding in a group, Tom Wilson’s Small Plant eBikes will be leading one from his shop in the Bishop Arts District across from Oddfellows. 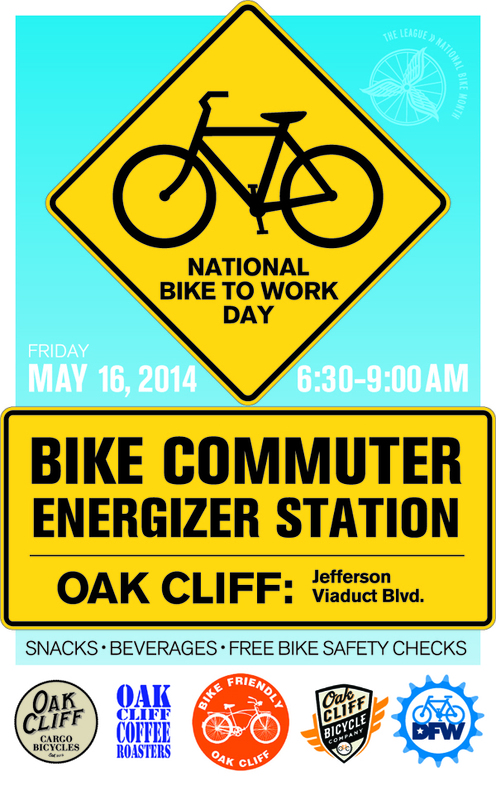 The group leaves at 7:00 AM, meet up is 6:45 AM, heading to the Oak Cliff Energizer Station. Tom will even loan you a bicycle just for the group ride and back to the shop! Well alrighty then! See you May 16th!! !